Arsenal will play Atlético Madrid in its first semi-final in any European competition since 2009, while the Spanish team has reached the Uefa Champions League final twice in the last 4 years. 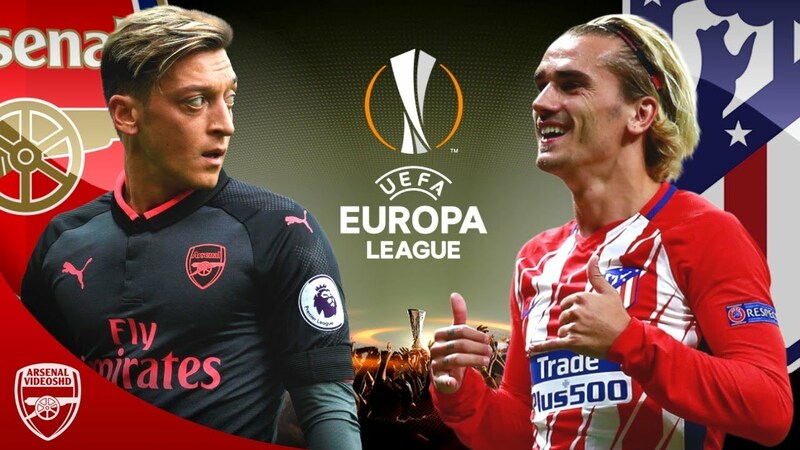 Atlético Madrid has one of the meanest defences in Europe and they are in London to spoil the Arsene Wenger send forth party and the Gunners will have to be at their very best to overcome this tough hurdle over two legs. Arsene Wenger’s announcement last Friday, that he will be stepping down as manager after over 20 years in charge have been taken with a lot of mixed reactions, some fans are excited at the news of the French-born coach leaving the club while some other fans have expressed fears on how Arsenal will cope without the amiable coach but one thing is certain, that news has certainly changed the mood in North London. Arsenal had a great weekend at the Emirates on Sunday afternoon hammering their London rivals West Ham 4-1, while Atlético Madrid could only manage a pulsating 0-0 draw with Real Betis at home. Both teams survived second-leg scares in the quarter-finals, Arsenal overcame CSKA Moscow 6-3 on aggregate (4-1 home, 2-2 away after trailing 0-2) and Atlético Madrid eliminated Portuguese club Sporting Lisbon 2-1 over the two legs (2-0 home, 0-1 away). The Egyptian Mohamed Elneny will miss Thursday’s match at the Emirates after he was stretchered off the field injured during Arsenal’s 4-1 win against West Ham on Sunday. Henrikh Mkhitaryan and Santi Cazorla are both still out injured whilst Pierre-Emerick Aubameyang is cup-tied and ineligible to feature in the Europa League. Diego Simeone feared that he would be without Diego Costa for the trip to North London but the Spanish forward has been named in the squad to face the Gunners. Los Colchoneros will, however, be without first-choice full-backs Juanfran and Filipe Luis who are both injured. Arsenal 4-2-3-1 formation: Ospina; Monreal, Mustafi, Koscielny, Bellerin; Xhaka, Wilshire, Welbeck; Ozil, Ramsey, Lacazette. Atlético Madrid 4-4-2 formation: Oblak; Hernandez, Codin, Savic, Vrsaljko; Correa, Gabi, Saul; Koke, Gameiro, Griezmann. Arsenal is yet to keep a clean sheet at home in the Europa League knockout stages, and that may prove their undoing in this game. Having a porous defence or an error-prone central defensive pairing was not much of an issue when they played both AC Milan and CSKA Moscow because they could outscore those teams, but Atlético Madrid present a different proposition altogether and the Gunners could be punished at the slightest opportunity. Wenger should be worried about the vulnerability of his back four in recent weeks, Arsenal has been scoring freely at home, however, the defence is a big source of worry for Wenger. When Arsenal’s full-backs push forward, that can leave their centre-backs exposed. The Laurent Koscielny of two seasons ago could cope with that, but now he seems to have lost a few yards of pace to age, while Shkodran Mustafi seems to be poor in form and low on confidence. However, When all things are taken into consideration we feel Arsenal can win this game by 3-1.